There are sometimes problems taking history outside the classroom. You can do it the easy way, or you can do it the hard way. Let me explain. The easy way is that you go to a beautifully preserved colonial village like Farmington. You can amble comfortably along a Main Street lined with perfectly preserved eighteenth-century treasures. You have an informative brochure to show you the way. Or you can head out to the Great Swamp Society’s 1712, now hidden, settlement in Berlin, and “build your own,” as they say. This is our version of “hidden history.” It’s history the hard way. Here are some of the rules of thumb, axioms, methodologies and techniques you’ll need to be successful. First, “hidden history” comes in pieces. It’s not in one place, not on one path, or in one era. It makes you think hard. It always starts with a church and ends with a cemetery. There are always brooks or small rivers with dams in between that connect them. 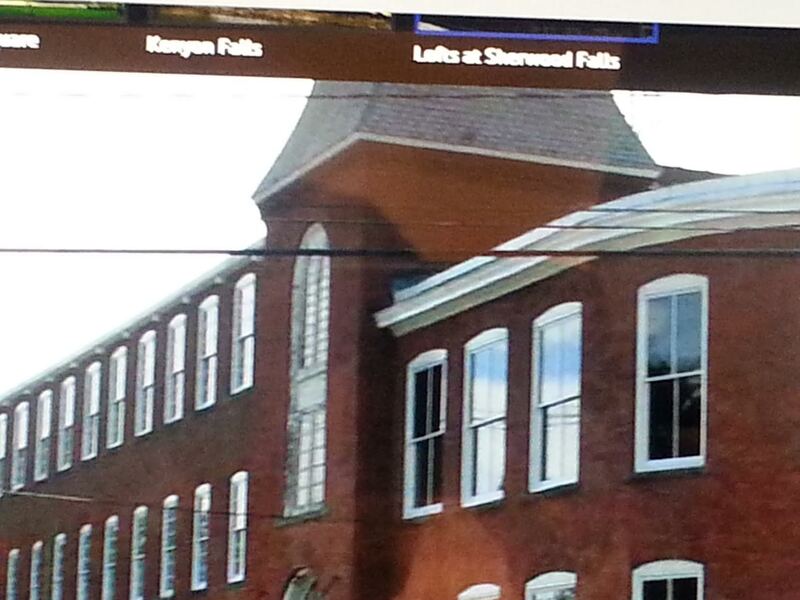 There are always old mill buildings converted to trendy condos along the way. 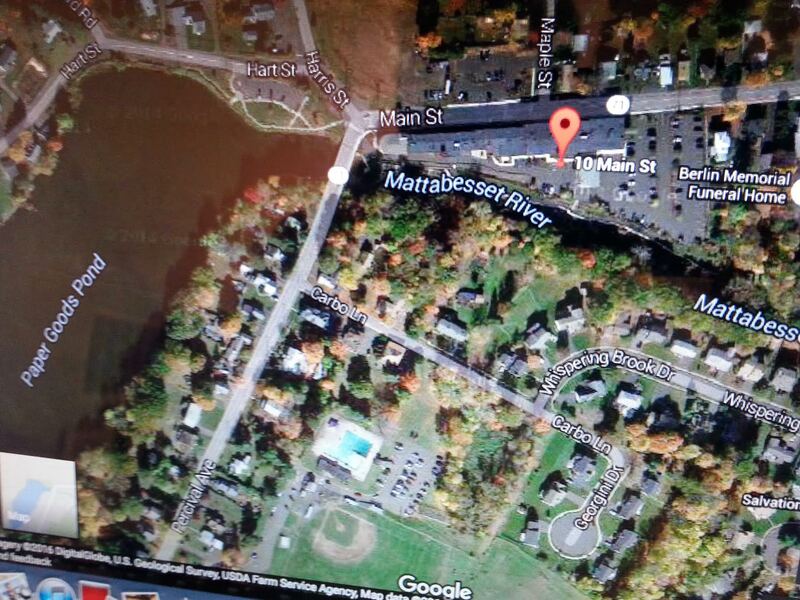 There is usually a train station and generic retail nearby. Last, what you learned in history class always applies, but in ways you never imagined. We’ve suggested a little reading and provided a simple map. Don’t gorge yourself on names and locations. They interfere with “hidden history.” Just bring your creativity, common sense, sangfroid, and good humor. To whet your appetite though, you should know that the Great Swamp Society was a rare and incredible community. In 1712, its founders broke away the First Society of Farmington who established the First Church. Independent of their ancestors, they built a fort, a church and incredibly successful microeconomy. Between 1725 and the Revolutionary War they ran huge farms, built more that twenty mills, taverns and tanneries along the dozens of swamp streams, roads and rivers. They traded timber and horses for molasses, sugar and probably salves, with the West Indies. They distilled rum and drank lots of it. They had lots of children – 16 or 17 in some cases. Just about all of them, had slaves, too. And they did it all in the Great Swamp. Take the Christian Lane exit off Route 9, south. Head right over to the Second Church at 312 Percival Avenue. (If you’ve been alert enough to this point, you have a GPS and a tablet to get you there and some basics on the church). The most interesting thing about the church besides its classic Puritan architecture and impeccable wooden construction may be its message sign. 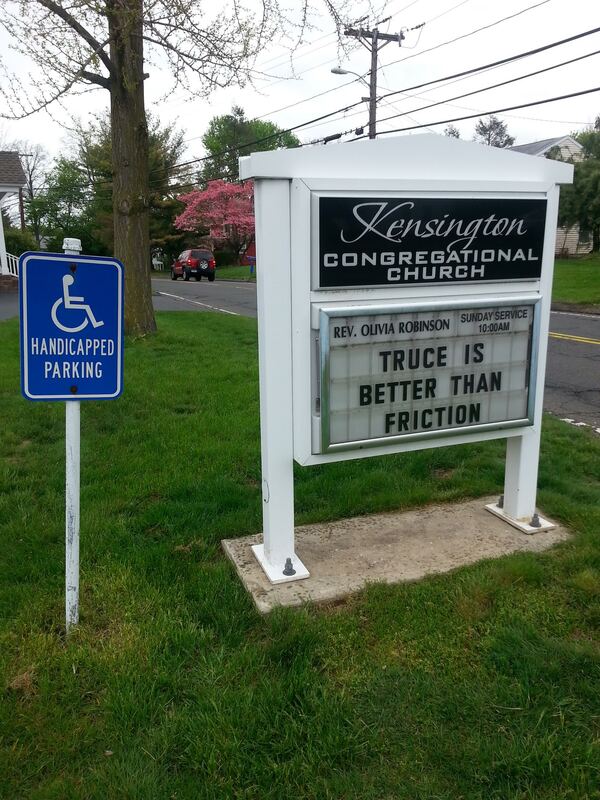 The message reads: “Truce is Better Than Friction.” What hidden historical irony. If only they got it about three hundred years ago they could have resolved the bitter dispute that drove half of their congregation to build their own meeting house on the other side of town. The mill building itself is late 19th century vintage. And, like a lot of them that have survived, it has been turned into trendy condos. Before we ponder the why, how and who (hidden history) questions that may apply to it, lets get to the water. 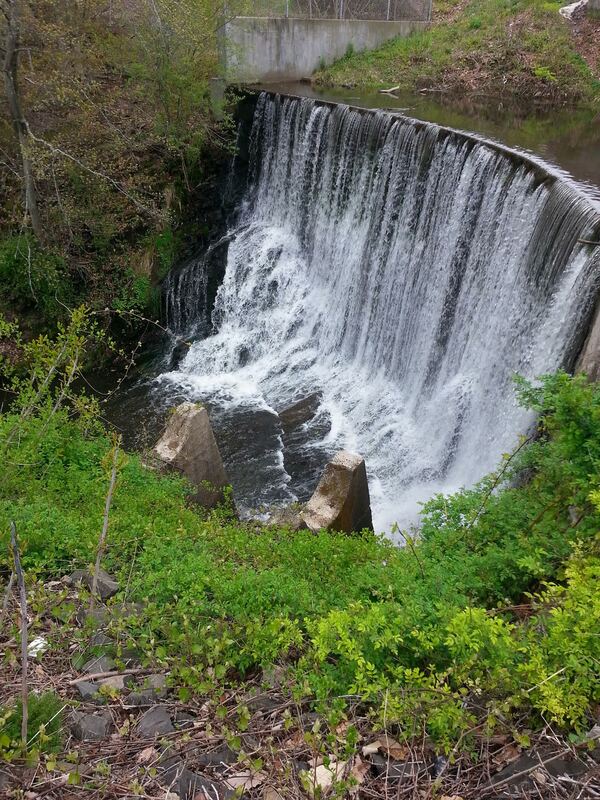 A relatively small river, the Mattabasset, cascades off a high dam that makes Paper Goods Pond behind it and flows between a deep embankment along the rear edge of the property. It’s clear from the height of the falls and the angle of the first sluiceway there, thats how the stream gets squeezed into a narrow channel, before it widens again, that there were at least two to three very early mills here. 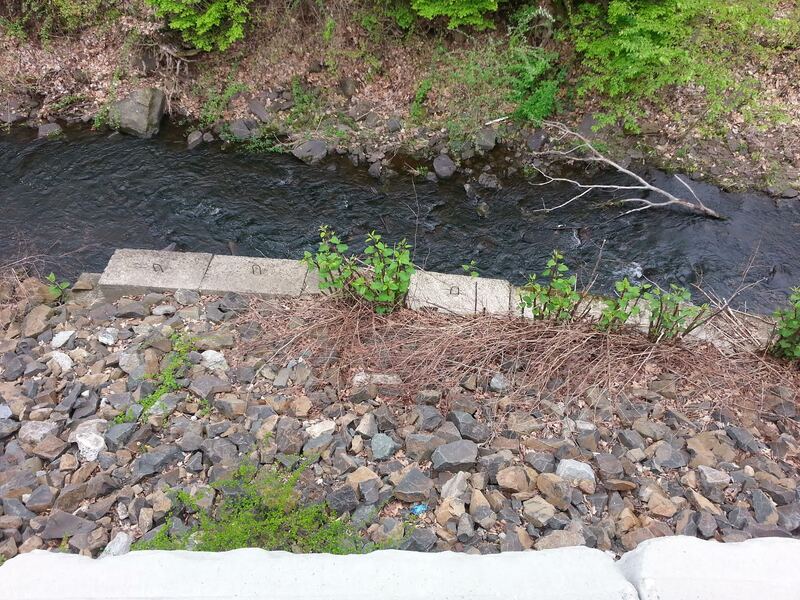 You notice that there are old concrete foundations here and there along the river. Pilgrims, as you know, didn’t do concrete. Think Samuel Brownson, saw mills, grist mills. Think hydropower turbines. Think paper cups. The trendy condo factory is asking us some tough questions. The main one is, of course, “How much do these trendy condos cost?” We can figure that out fast, using a “hidden history” version of prosopography called condography. We do it here by reading the parking lot. How many parking spaces are there? What kind of cars? Equals average income per unit estimate. Multiply by 2.5. You don’t need a spreadsheet. It’s basically common sense. You can also ask at the sales office. There are three similar, humble single-family houses looking at you from across the street. They are identical, but disguised. How? Who lived there originally? When were they built? 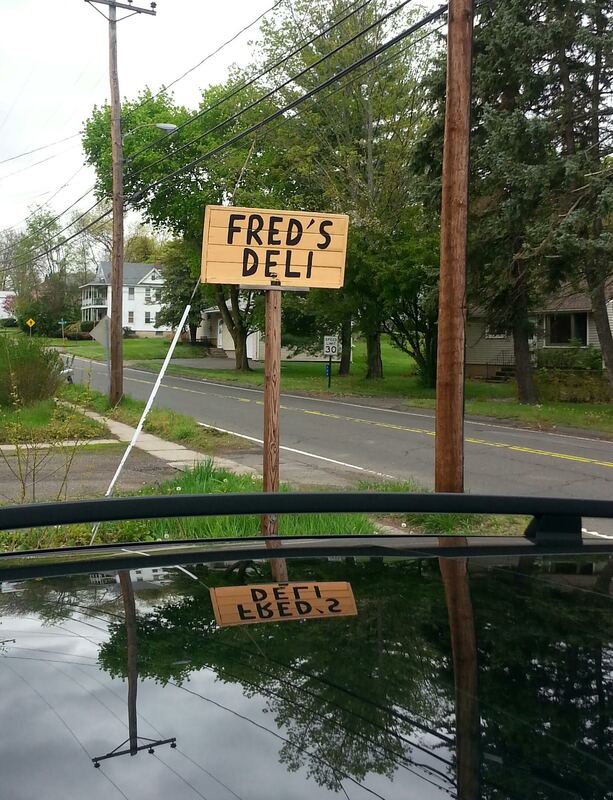 Next, stop at Fred’s Deli, a small old store, with a hand painted sign, with customers from the small houses around it. How much do Fred’s grinders cost? More or less than the average for the Berlin area? Well, they cost about the same, but are much bigger. A solid “rule of thumb” is that people in small houses eat bigger grinders. To test the thesis, get the Pastrami Bomb. Ahead, our last look at the Mattabasset shows you how transportation systems, rivers, roads and rails often follow the same routes with villages and towns clustered nearby. Then over to the Christian Lane Cemetery, a marvelous place. They are always connected by water at the opposite end of the path from the church. At the church water means life, baptism, youth, hope and sermons. In between the water offers power and fishing. 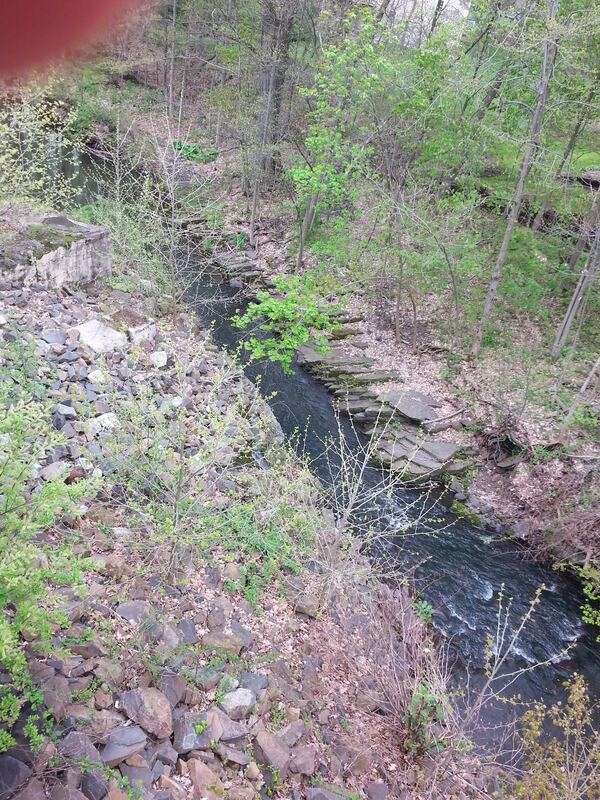 They put cemeteries near worn out streams because they know it is peaceful. And, because the land around them is cheap. Why? Right. It’s swampy. But what happened to the Great Swamp Society? No trace of it here but these glued and bandaged gravestones rotting in this forsaken lot. Mary Hart’s marker is knocked over, lying in a bed of freshly dug dirt. She was Gen. Selah Hart’s wife dead over 250 years ago. No distinguished Colonials or Puritan churches here to commemorate the Great Swamp Society’s incredible community. Why is Christian Lane lined with junk car lots, recycling plants, Budget Rental trucks, animal control operations and small manufacturers that spread out all over the beautiful flat land and defile the Mattabasset? Did the Society do something terribly wrong? And, where did Mary Hart go? 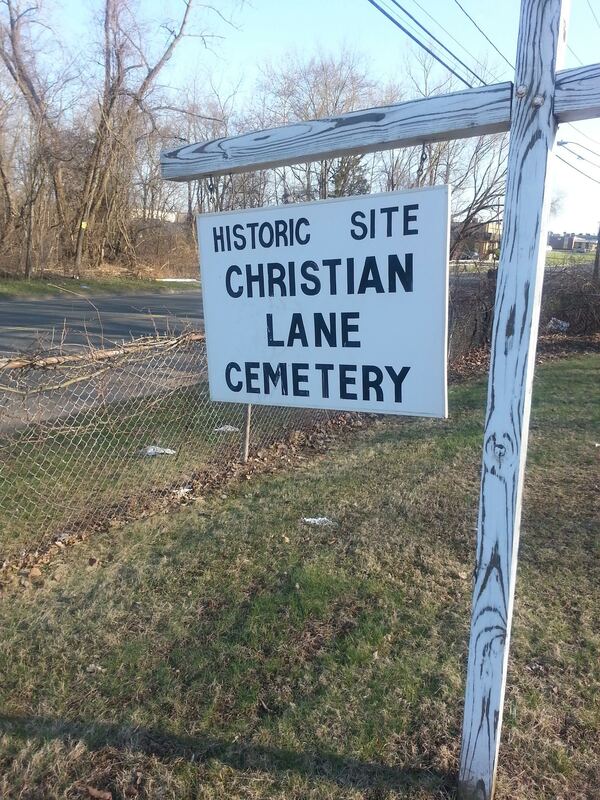 Cemeteries are always a dead end. Usually. There is just one last question, maybe the most important one. The CT Paranormal Searchers, a group that has studied this cemetery, wonders: “Do the spirits of early settlers still remain at this place?” Do you think maybe that’s the answer? CT Paranormal Searchers. www.ctparanormalsearchers.weebly.com cy1171@messiah.edu. North, Catharine M. History of Berlin, Connecticut. New Haven: The Tuttle Morehouse & Taylor Company, 1916.